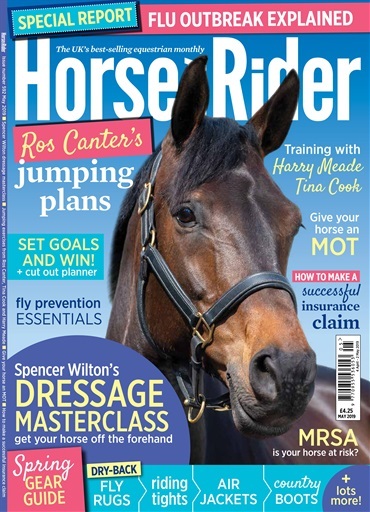 Inside you’ll find great jumping exercises from Ros Canter using five fences or fewer, Harry Meade shows you how to get the perfect line to every fence and Spencer Wilton has some top exercises to help you get your horse off his forehand. If you’re just going round in circles in your schooling sessions, H&R injects some fun with different shapes. 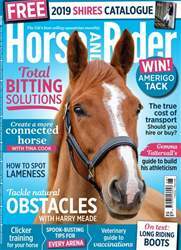 Also, find out what lumps on your horse's legs mean and whether you need to worry, plus we put together the ultimate maintenance plan for your horse so you can make sure he’s in the best nick. Get ready for summer with our fly prevention essentials, 11 top ideas for the ultimate horsey summer and follow our goal setting tips to help achieve your aspirations. 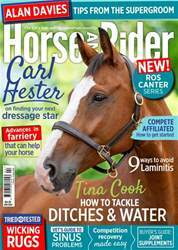 Plus, don’t miss out on the chance to win tickets to Bolesworth International Horse Show – get your copy of May Horse&Rider, today!